Rajamouli's magnum opus Baahubali starring Prabhas and Rana created many sensational records and many films failed to come anywhere near to it. Under these circumstances, surgical strike on Baahubali surprised all. It is known that Vicky Kaushal's Uri, a film on Indian Army's surgical strike on Pakistan is showing its power at the box office. As per trade reports, the film collected a Nett of Rs 6.53 crores on day 23 and on day 24 it collected around Rs 8.71 crores. In the process Uri broke Baahubali The Conclusion's record of Rs 6.35crs and 7.80crs on 23rd and 24th days respectively. The film is all set to enter 200 crs club much to the delight of the filmmakers. 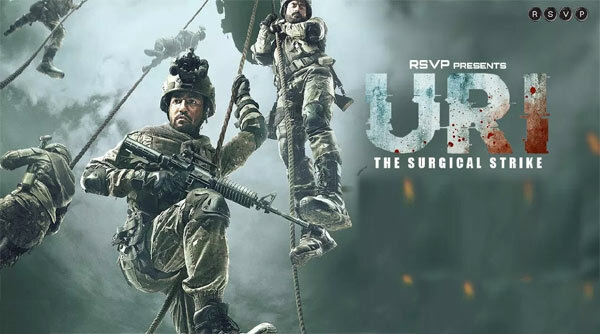 Initially, Uri besides winning critics and audience accolades was off to pretty average start. However, the positive word of mouth helped it to grow collections in next days. Even in its 4th week, Uri is raking decent numbers. New Date for Mahanayakudu Release!